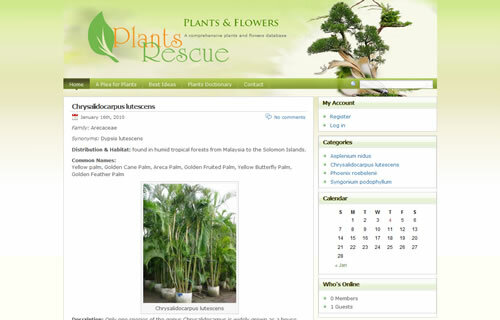 Plants Rescue is an online comprehensive Plants & Flowers Database where the plants lovers find useful information on large variety of plants. Plants Rescue is most specialised on indoor plants, plants that require a special attention. Plants Rescue is the place where plants lover have the opportunity to share their knowledge about a specific species of plants.